Divided: separated; shared; to diverge; cleave……….. I have decided that being a grandparent causes you to suffer from a “divided heart”. Beginning at the instant you learn your child is having a child, it’s as if a magnetic force immediately draws your thoughts, dreams, prayers, and overwhelming love in the direction of that tiny, beating heart, hidden from the world. Fast forward to that breathless moment when the miracle that will call you “MiMi” (replace this with whatever your grands call you or will call you) is placed in your arms. Everything else fades away. Cradling this precious armful, older heart to brand new heart, it seems they beat in unison, filling a place you didn’t know was empty, and nothing is ever the same again. Time is both precious and tormenting. The longer you want to savor the sight, breathe in the scent, and caress the tiny fingers and toes of this new person in your life; the faster the minutes, hours, and days seem fly by. All too soon you’re faced with saying goodbye. Your stomach clenches. Tears flow. A heart divides. A temporary condition? Afraid not. A one time thing? Nope! Carson is two now: my heart? Still pulled in different directions. We’ve recently been blessed with Owen: my heart? The chasm has grown. The struggle is real! While my very being wants to wipe every tear, experience every milestone, calm every fear, and read bedtime stories every night with my grandsons; I’m also drawn home. My normal: the routine, responsibilities, schedule, and those that wait for me, beckon. Yes, a heart divided….wanting to cling to one place while yearning for the other. Pondering this heart situation, it has occurred to me that we suffer in a similar way as Christians. I wasn’t prepared for the powerful love that comes with being a grandparent. I’m blessed to only live four hours away from the boys and technology helps keep us connected in-between visits. Goodbyes will always be hard. 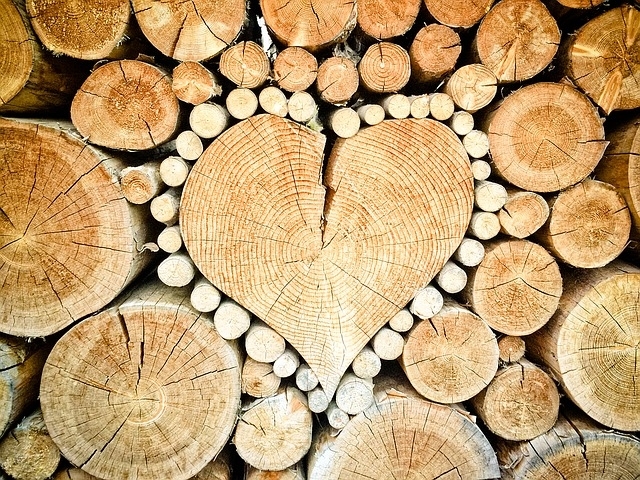 As my heart continues to pull me in different directions, I pray it reminds me to always stay connected to the One who, with the greatest love of all, is preparing a place for me where my heart will be divided no more. This entry was posted in Blog, Life Moments, Uncategorized, Wise Wednesday and tagged Divided Heart, grandchildren, Grandparents, Heart, Love on June 28, 2017 by Cindy. My soul can get weary. Been there? For me, it’s the striving I think. Maybe it’s the same for you or maybe something else takes its toll on your soul. No matter how it gets that way, having a drained soul weighs you down. Joy is hard to find. Peace seems out of reach. And the energy to love as we should? Not there, disconnected, out of order. I found myself in just such a place not too long ago. While blessings abounded around me, inside that most sacred place I felt hollow. It’s not that I’m ungrateful for all I have or don’t recognize God working in my life: I am and I do. It may be those very things that shout and echo against the walls of my tired soul; “God has abundantly blessed you so Do more! Be more!” And then I don’t……I’m not…..My soul sighs. It so happens that at the very time my soul felt depleted, I was privileged to babysit my wonderful grandson, Carson! It may have appeared that I was taking care of him, but from milk and Mickey first thing in the morning until bedtime stories and goodnight prayers at the end of the day, Carson was mending my soul. Who’d have guessed that playing at the park, throwing sticks in a pond, or a walk along the creek would revive my tired soul? I watched as he stooped low to get an up close look at moss growing on a rock, spotted a bird gliding high across the sky, laughed at leaves on the wind, nestled in a pile of well loved blankets to fall asleep, and when afraid to go down the slide alone? He kept his eyes on me, let go of the sides, and sailed down into my waiting arms! “Change and become like little children.” My time with Carson reminded me to: like him, engage in the world around me, find joy in little things, rest in the knowledge that I am loved, and most importantly: to take my eyes off myself, loosen the grip I have on wanting control, and trust that even when I’m not sure what’s waiting for me; I know WHO’s waiting for me! 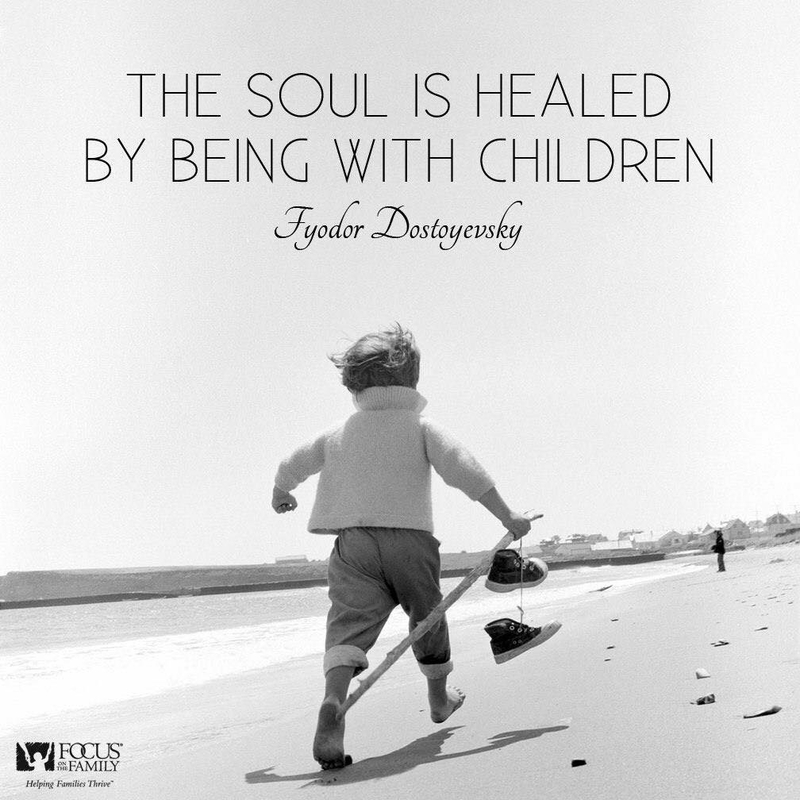 Children really DO heal our souls if we’ll only watch, listen, and learn to humble ourselves to become more like them. Of course, this MiMi thinks Carson is the cutest, smartest, strongest, most talented child of all! (I’m sure you know one of those too!) When he puts his little hand in mine and looks up at me with his perfect tiny toothed grin my heart overflows with unconditional love and I want nothing more than to be sure he knows he’s treasured! And isn’t that just like God? He waits for us to put our hand with childlike wonder in his, look to him, and to know without a doubt that we are precious and loved. 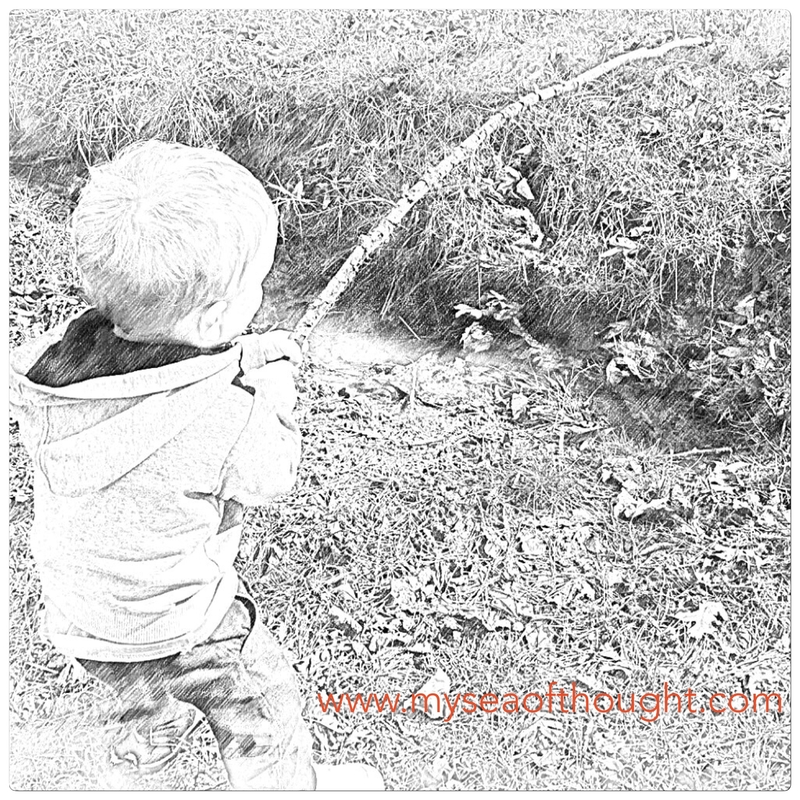 To become more like a child, HIS child……now that’s refreshing to the soul! This entry was posted in Blog, Life Moments, Uncategorized, Wise Wednesday and tagged #WiseWednesday, children, grandchildren, Matthew 18:3, weary soul on March 8, 2017 by Cindy. 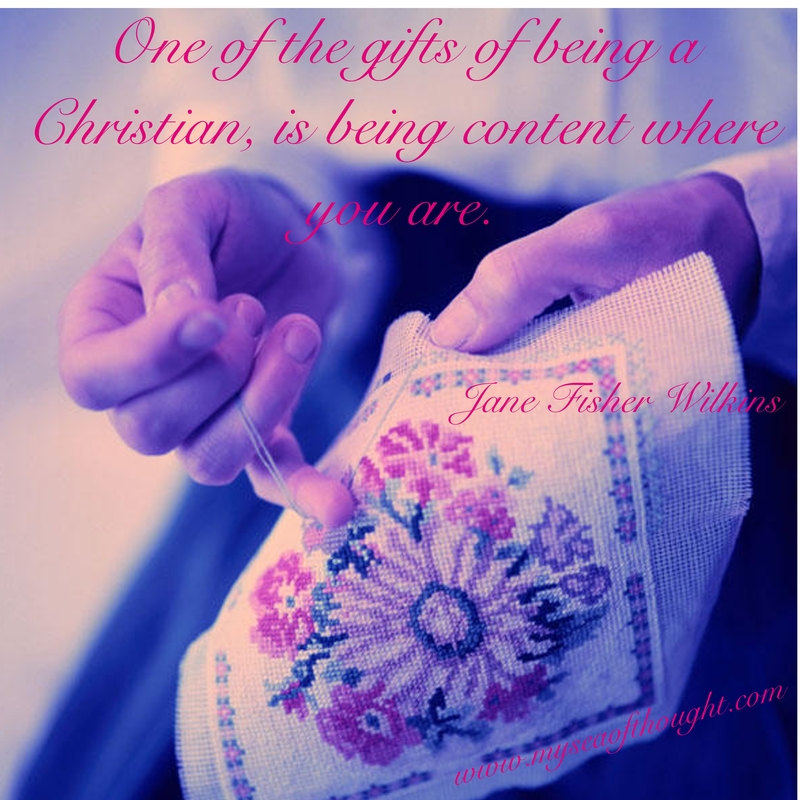 “One of the gifts of being a Christian, is being content where you are.” I was in a conversation this morning when I heard these words. They weren’t spoken about me, but they sure spoke TO me! Loud. And. Clear. And, I have no doubt I was meant to hear them. Content: “satisfied with what one is or has” May I be honest with you? I don’t know the last time I’ve felt content! In my mind, there always seems to be something lacking: in my circumstances, my relationships, and myself! It hadn’t occurred to me, until now that is, that trying so hard to be a good Christian has caused me to miss out on a gift of being a Christian! Striving is second nature to me…..striving to always do better and be better. That’s good, right? I’ve been telling myself it’s not only good, but it’s necessary! Now I’m wondering, is it? Constantly attempting to improve, worrying when I don’t, and the negative words that I repeat in my head DON’T feel like rewards at all. It took another conversation for me to see that I’ve been depending on…..wait for it…..ME! I don’t want to admit it, but all that striving is really my attempt at pleasing God through my efforts, my works! Whoa! As much as I’d like to deny it, and believe me I tried, this striving girl has been struggling so hard I’ve ignored the Giver and the gift! What about you? Are you as ready as I am, to stop the striving? It isn’t going to be easy. There’s a part of me that’s scared at the thought of not constantly monitoring my progress but there’s also a sense of relief that comes with the knowledge that in my weakness, God’s power is made perfect. So, I say it’s time! Let’s open the gift! First, untie the ribbons that bind us to our performance. Then, let’s unwrap ourselves from the belief that we have the strength to do anything on our own. And finally, let’s open our hearts and know there’s true contentment found in the “presence” of God’s grace. P.S. Thank you to my mother-in-law for sharing her wise words and to my husband, whose patient guidance helps me in this journey of life. This entry was posted in Blog, Life Moments, Uncategorized, Wise Wednesday and tagged #WiseWednesday, contentment, gifts, Grace on October 21, 2016 by Cindy. Comparison. To be honest, it’s been a way of life for me for as long as I can remember and I always end up feeling I come up short. It’s easy, especially with social media, to find someone who appears prettier, thinner, smarter, wiser, or more talented and successful than I am. Ever been there? 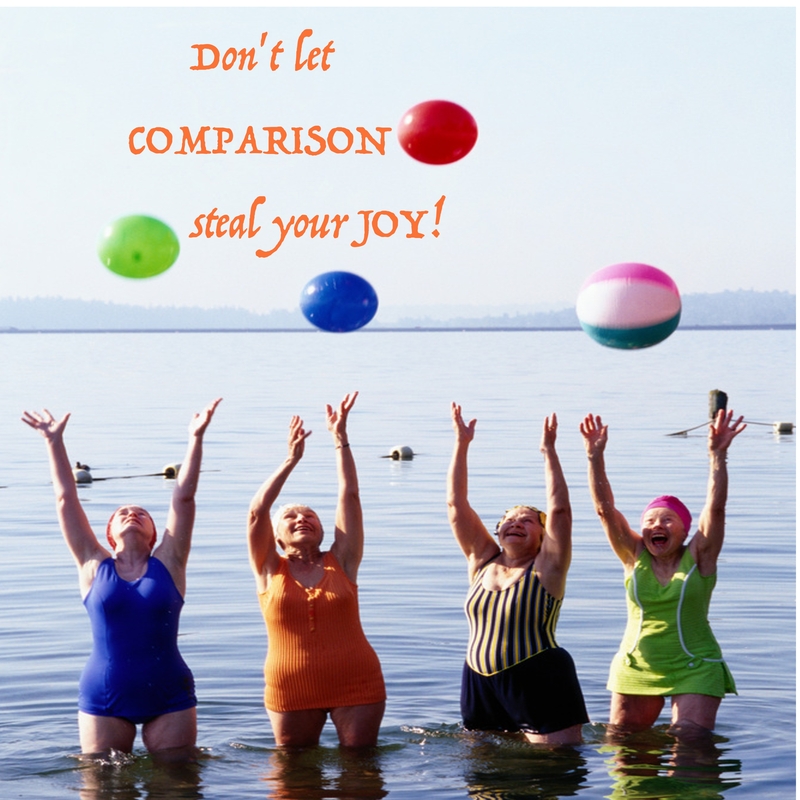 Jumping in and spending time in the comparison pool is just like treading water. It gets you no where fast and is exhausting! The longer we stay there the more shriveled our souls feel and our joy truly is swept away with the tide. Try as I might to avoid immersing myself in all the ways I don’t measure up, I somehow seem to dip my toes in and before I know it I’m being pulled under. Why? It’s hard to stay afloat when I’m weighted down with me, me, me. I’m not there yet, but I am beginning to realize that God never intended for us to compare ourselves to one another. He created each of us, just the way we are, to do His perfect will. Stop for a minute. Just think about that…..The things that we may wish to change are the same things God gave us with a purpose. Switching our focus from “me of this world” to “God has a plan for me in this world” offers us relief from drowning in comparison. We’re not supposed to be like anyone else! Let that sink in. I had to take a break from this post and come back today because as I wrote these words on Wednesday I became disappointed with myself for not being able to tell you I have this comparison thing whipped. I. Don’t. Knowing comparison is not what God wants for me and doing it anyway makes me just plain frustrated with myself! Do you have similar struggles? I’m glad to say that since beginning this Wise Wednesday post, God has reminded me that our transformation doesn’t happen quickly. It’s a lifetime process. My prayer today is that we become more aware of those things, like comparison, that keep us from seeing who we really are and that we’re able to change the way we think so we can joyfully splash in the good and pleasing will of God! This entry was posted in Blog, Life Moments, Uncategorized, Wise Wednesday and tagged #WiseWednesday, comparison, God's will, joy on October 14, 2016 by Cindy. I don’t know about you, but it’s way too easy for me to fall into the trap of “woe is me”. As I’m purposeful in reflecting on this crazy house process, I’m beginning to see it a little differently. Shifting my focus has revealed the fact that every day I’ve spent letting go leads me one step closer to making memories in a brand new house. There is beauty in this chaos. Sorting and sifting through everything we own opened my eyes and let me see that we’d collected so many things we didn’t use or need anymore. What’s a pack rat to do? It took a while, but I finally recognized that maybe there was someone else who needed exactly what I didn’t. While emptying drawers, closets, and storage spaces was hard work; I’ve come to realize something. There’s beauty in giving. I’m pretty sure those close to me (and maybe even you reading this) are more ready for this stage of my life to end than I am. Let’s just say my thoughts, worries, conversations, and yes, my blog posts have been pretty much like a broken record, but despite it all, my family and friends have prayed for us to let go of our fear, cheered us on to let go of our doubts, and urged us to let go of the past and look to the future. My biggest lesson about letting go? There’s beauty in encouragement! The calendar shows that it’s officially fall. Nature proves it true. The sky is a more brilliant blue. The Hummingbirds and Monarchs are migrating. And yes, the trees are “letting go” of their leaves. As they float on the breeze, let them remind us that there IS beauty in the act of letting go, not just of things, but of all that hinders us from living our best life; the one God’s designed just for us! Since it IS officially fall here is a super simple dessert/snack that’s perfect on a cool, autumn day! 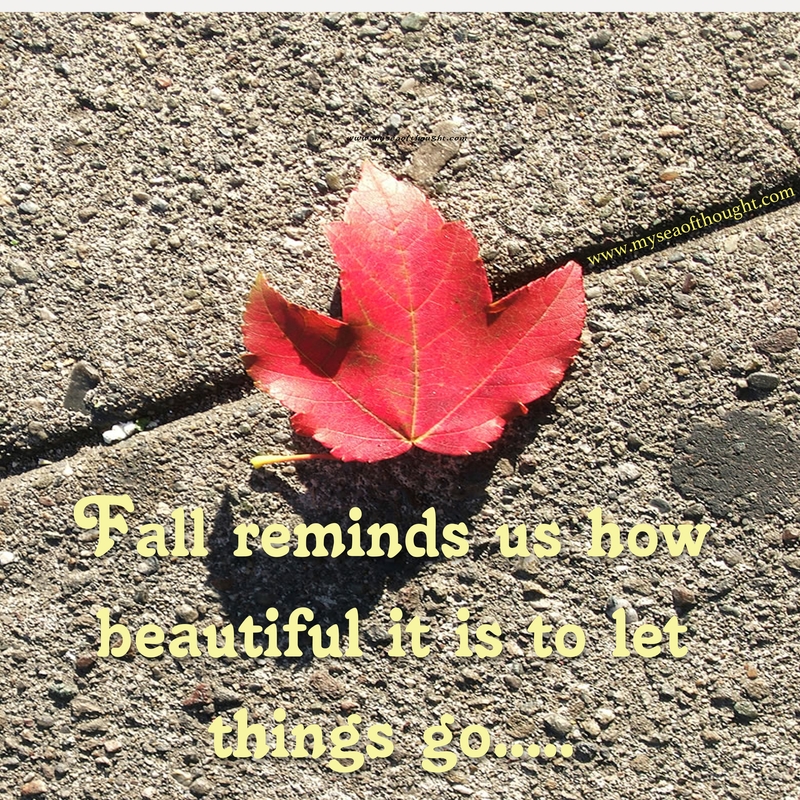 This entry was posted in Blog, Life Moments, M'm M'm Monday, Uncategorized, Wise Wednesday and tagged #M'm!M'm!Monday, #WiseWednesday, easy dessert, Fall, letting go, pumpkin spice on October 7, 2016 by Cindy. Uhhhhh……unless of course, it’s the story of my life! Then, I want to immerse myself in those chapters which were set in my comfort zone and had happy endings. I long to linger with those characters who’ve meant so much to me. I’ve survived all the adventures, challenges, disappointments, and triumphs that have been woven together to create my story. Rereading it is safe. I like safe! Then….the page turns. A new chapter awaits. What’s a “play it safe, memory hoarding, stay on the sidewalk, status quo” kinda gal supposed to do? We know there are volumes of things that can go wrong….cliff hangers, plot twists, surprise endings….and they can make us want to slam the cover shut and demand a rewrite! But, I’m learning (slowly) it’s exactly those things that help develop OUR character and make our story richer. A chapter in my book of life came to an end yesterday. Perhaps one is ending for you as well. It leaves us with a choice. 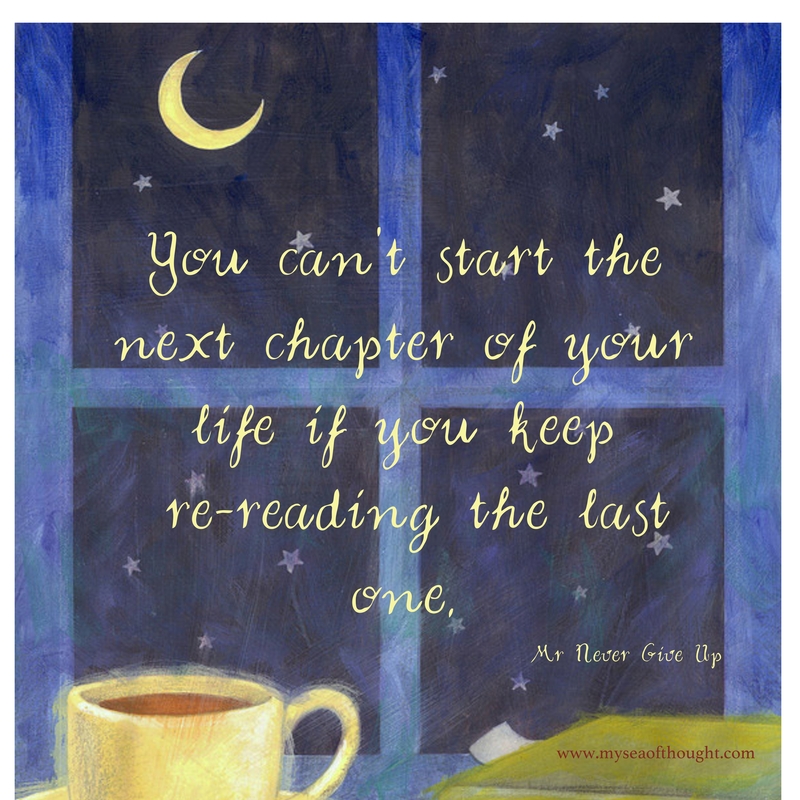 Are we going to reread the pages we know so well or are we going to trust with all our heart, turn the page, and start discovering the paths that await us in our new chapter of life? This entry was posted in Blog, Life Moments, Uncategorized, Wise Wednesday and tagged #WiseWednesday, new chapter, read, story of life, Trust on September 28, 2016 by Cindy. It’s been there from the beginning. That bond. The connection. Stronger at times than others, but always there…..sisterhood. I’ve recently returned from seeing my sisters. It was a quick trip, but being in their presence, even for a short time, fills an empty place in my heart. I’m lucky, no, blessed to have the two beautiful (inside and out) sisters that I do. They get me. They challenge me. They support me. They cheer me on. We may be separated by miles but we share a relationship so close that when one of us is suffering, we all three experience the pain. Celebrating? Joy abounds! Sad….tears are shed in unison. My sisters are part of me as I am of them. We walk through life together sharing experiences, observations, frustrations, and victories. And laugh? Oh my! Do we ever laugh! (mostly at each other and ourselves) As the big sister of the family, I couldn’t be prouder of the women my sisters have become! 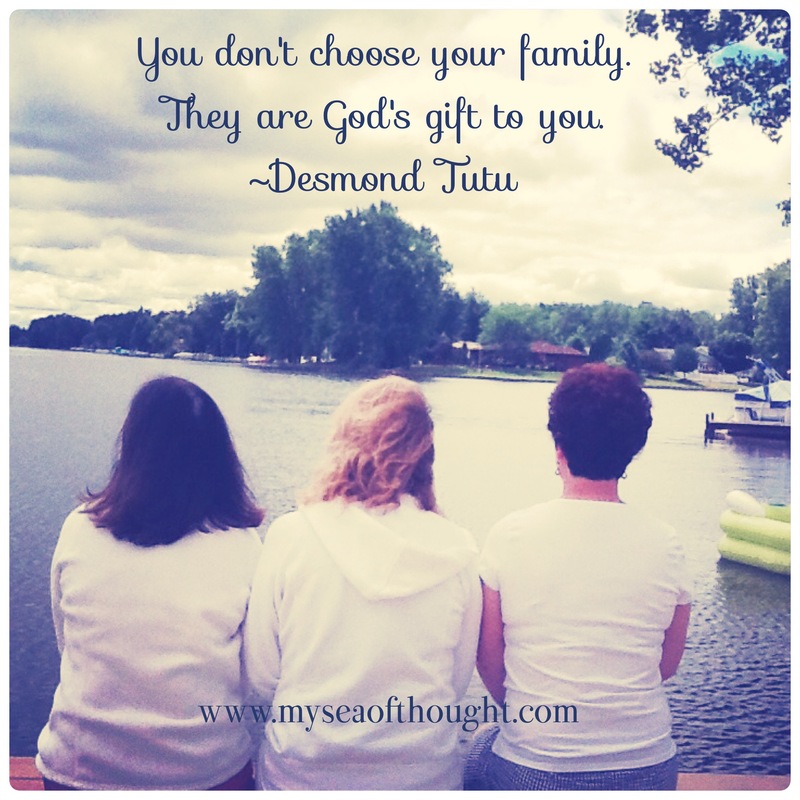 They truly are my “Gifts from God”! This entry was posted in Blog, Life Moments, Uncategorized, Wise Wednesday and tagged #WiseWednesday, Family, Gifts from God, Sisters on September 21, 2016 by Cindy. 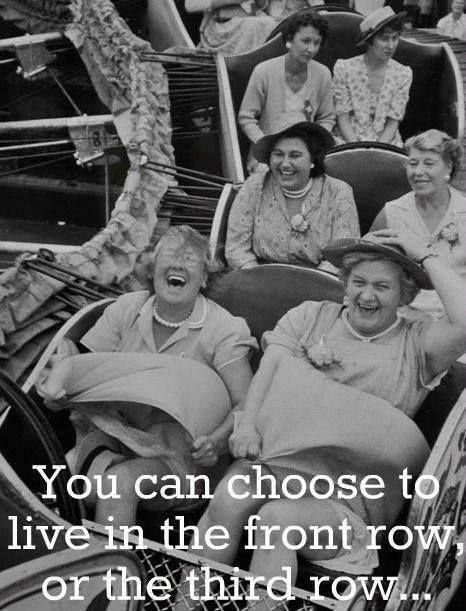 Oh……to allow myself to live with the joy of the front row………that is my desire! This entry was posted in Blog, Life Moments, Uncategorized, Wise Wednesday and tagged #WiseWednesday, joy on September 14, 2016 by Cindy. Funny how things work out. My last post compared a TV show ending with a season of my life coming to an end (“It’s a Wrap”) and today I actually watched the last show of a favorite series of mine. In this final episode, the writers “wrapped up” the life stage each character was in and let us get a glimpse of what new season awaited them. If a wonderful show has to end, this was a perfect ending. My wise words today come from the farewell lines of character, “Detective Vince Korsak” and oh, how they spoke to me! This entry was posted in Blog, Life Moments, Wise Wednesday and tagged #Rizzoli&Isles, #WiseWednesday, change, Path, steps on September 7, 2016 by Cindy. For those of you who know me, no explanation is needed as to why these wise words are important. For those who don’t know me, a quick read through some of my posts will give you a clue (hint: change could be an issue for me). I’m work’in on it! How about you? Embrace change or not? 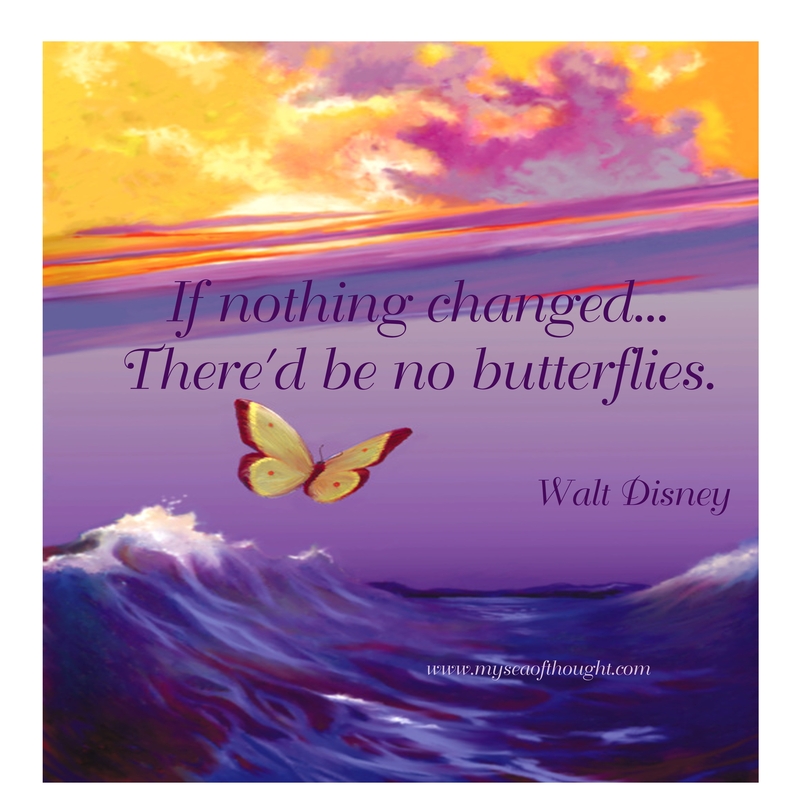 This entry was posted in Blog, Wise Wednesday and tagged #WiseWednesday, butterflies, change on August 24, 2016 by Cindy.